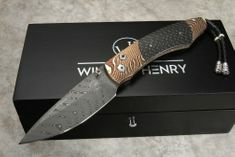 The William Henry knives are among the finest in the world. 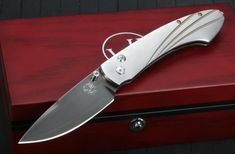 Each B-12 in the series is handcrafted, with incredible form, function, and value paramount in each one. 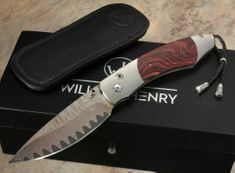 Each knife in the William Henry Spearpoint line is 7 inches long, with a 3-inch blade. 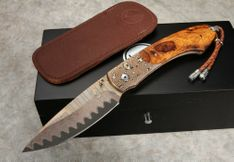 The size of this knife is a great selection for everyday carry. 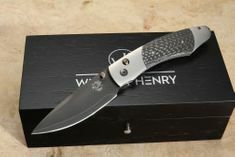 With a smooth opening mechanism and a rugged button lock, each knife in the series is a functional work of art. 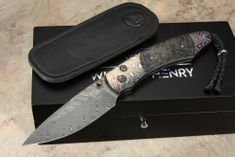 Each B-12 is hand-assembled to very exacting standards, so you know that you're getting a quality item every time you buy from the William Henry Line.